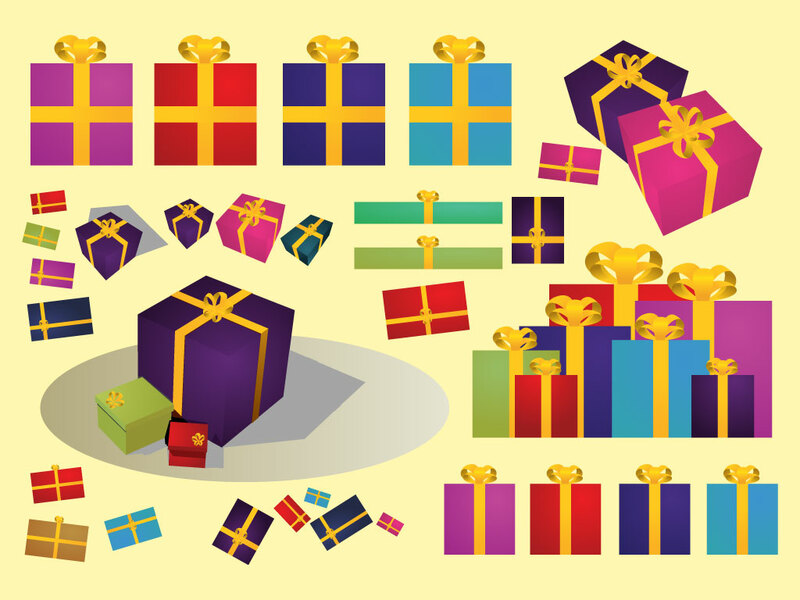 This vector set is has a variety of different present and gifts in different color schemes. Great clip art for your holiday greeting cards, fliers, invitations and wallpapers. Comes as AI and PDF for your convenience. Tags: Boxes, Celebration, Christmas, Gifts, Giving, Holiday, Presents.